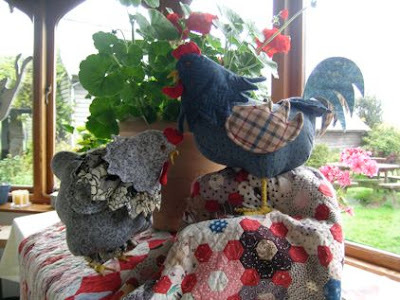 Homespun Stitchworks..... For the love of vintage: Meet The Maker: Jo Colwill ...Cowslip Farm. This will be my last blog post until Tuesday 22nd of November as I am off to Cornwall to the Cowslip Christmas fair. Where I am staying there is limited Wi Fi (if any) so I have decided not to take the chance of not letting you know in advance and stressing over blogging whilst there. Cowslip and its Christmas Fair event. Never have I managed to be at one these, and this all about to change, as I am going to the whole event to take pictures, report and take the odd video myself as well as do a spot of Christmas shopping myself. I know that Donna Flower will be stalling this weekend as will Caroline Zoob and the very talented Sarah Perry but that is all I know at the moment as I wanted to be surprised myself as to whom I may meet. Well I best be going with lots of things to do ... If anyone reading this is going to Cowslip this weekend please do say hello if you see me dashing around. I will see you back here next Tuesday and will be reporting on what will surely be a fabulous Christmas fair event ... lots of photos, a show and tell and hopefully a great little video for you to watch! Thank you Dawn .... Take Care.